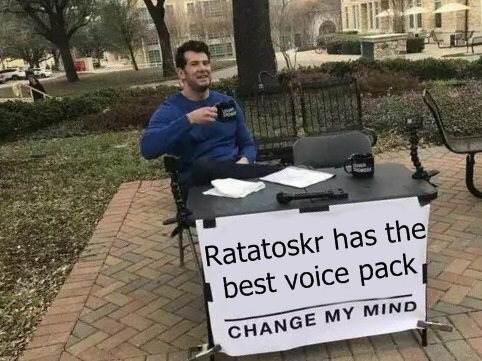 Ratatoskr has the best voice pack! 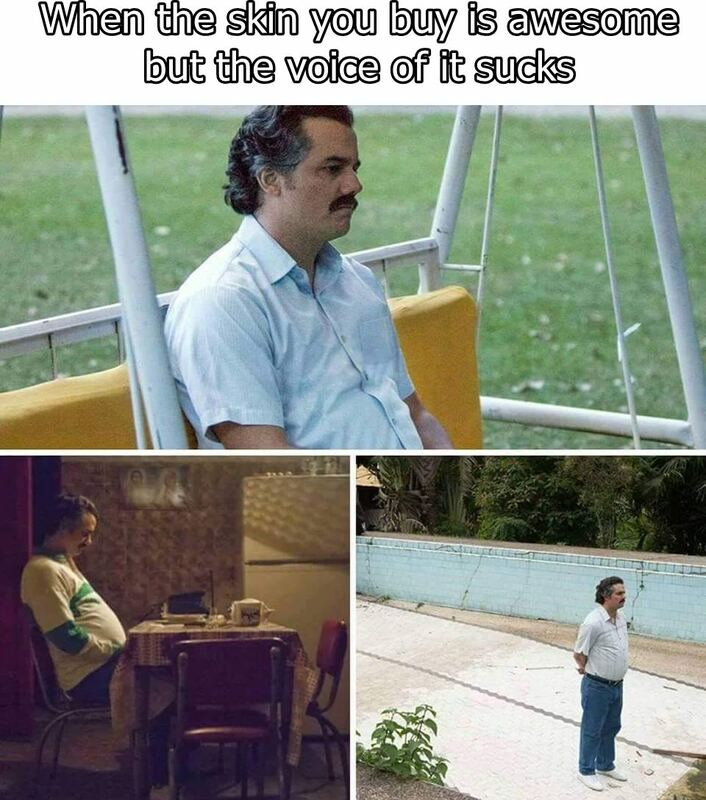 Listen by yourself. There's no way to deny it! When almost die: (Sings sarcastically) Miss me again!! When dies: "This battle is stupid!" Taunting: "Hey! Keep your eyes off my nuts!" VGSS - "Hey, I'm stackin' here!" VGSX - "Ehh! Cancel that!"